Ask a silly question, get a fatal answer. Today’s public safety message has been brought to you by The Authority #14 (June 2000) by Mark Millar, Frank Quitely, and Trevor Scott. Tip for aspiring supervillains: if you try and play the sympathy card, it helps if your opponent actually has heartstrings to tug on. 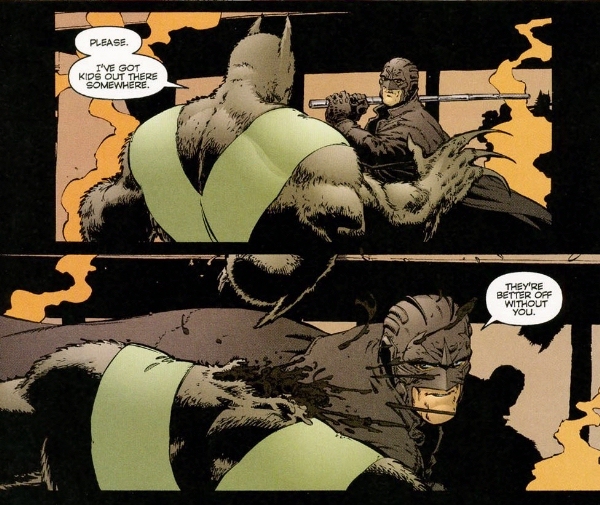 The Midnighter, for example, probably won’t be buying what you’re selling. Your appeal to sympathy has been denied. Thanks for playing, though. 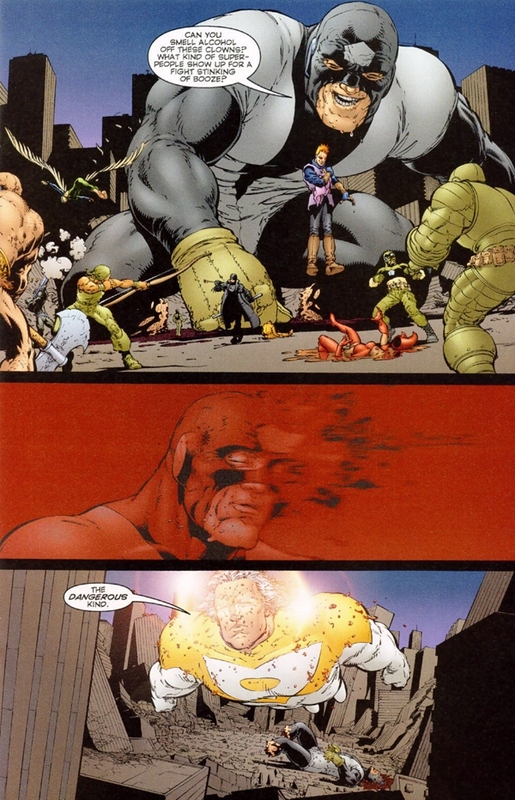 This harsh lesson has been brought to you by The Authority #16 (August 2000) by Mark Millar, Frank Quitely, and Trevor Scott.